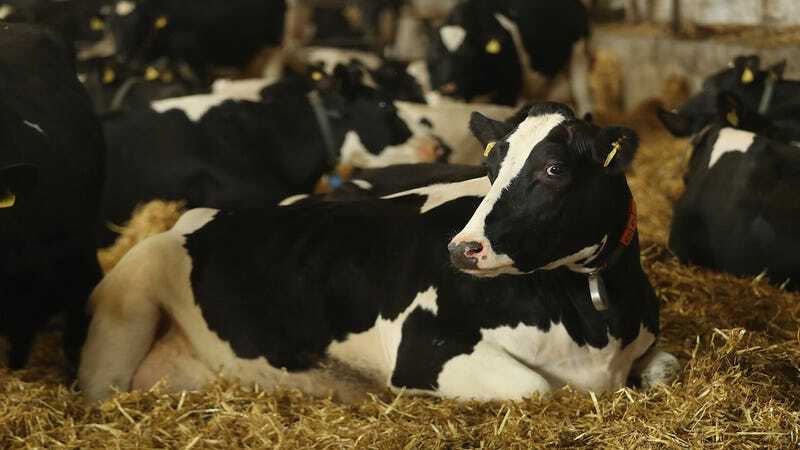 On January 1, a set of long-awaited FDA rules went into effect that could mark a major shift in the agency’s approach to antibiotics for livestock animals. First, the new policies place an outright ban on the use of any antibiotics considered “medically important” to help animals gain weight. The rules also require that such drugs only be given to animals under the supervision of a veterinarian, when animals are actually ill. The impetus here is the looming threat of so-called superbugs that have grown resistant to antibiotics. Critics have long warned that the widespread use of antibiotics in raising food animals has contributed to a superbug rise. Estimates suggest that somewhere around 70% of antibiotics are used in agriculture. That high percentage is due in large part to how those antibiotics are used—not to treat illness but to stave it off in dismal, disease-ridden conditions or to promote growth. The new rules, known as Guidance for Industry #213, were published in December 2013, and rely on animal drug companies to make changes to antibiotic labeling in order to enforce them. Drug company compliance is technically voluntary, but drug companies agreed to comply, forcing agricultural producers and veterinarians to comply with labeling instructions by law. The FDA’s announcement this week was that drug makers have now implemented the new labels. Critics of rampant antibiotic use in animal agriculture are hopeful that this signals a very necessary sea change. “The successful implementation of this guidance marks a fundamental shift in how antibiotics can be given to animals in the US and is indicative of the growing consensus that antibiotics should be used only when necessary and appropriate to protect animal health,” Pew Trusts antibiotics expert Karin Hoelzer wrote in a blog post. But as Hoelzer and others have also pointed out, the new rules are still not enough, riddled with loopholes that could render them ineffective. For one, preventative use of antibiotics, including medically important ones, is still permitted in livestock production, with the idea that it will be kept in check by veterinarian oversight. However, an analysis by Pew last fall found that one-third of antibiotics still approved for animals under the new rules are sold in ways could allow them to be misused. More than 140 drugs lacked dosage or duration specifications, meaning a food producer could still hypothetically, legally give an animal a prescribed drug for its entire life. Pew found other approved labels permitted drug use for conditions such as “weight maintenance” and the ambiguous “prevention of early mortality,” among other things. The FDA has committed to addressing this problem, as the new rules indicate. But critics still contend those rules could be tougher, and that the agency could act faster. The Netherlands and Denmark, for example, have made it flat-out illegal to use antibiotics preventatively in the livestock sector. An FDA report released just before Christmas revealed that sales of medically important antibiotics to the food animal sector has increased by 26 percent since 2009. In all likelihood, this problem is not going anywhere any time soon.